A quick visit to Drumboe as the rain stopped for a second or two. 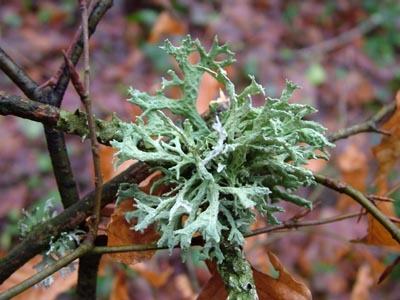 This Evernia prunastri - a lichen - was on a fallen twig that had lodged on a Beech sapling. About 5 cm across. Pineappleweed - Matricaria discoidea - is another plant that is becoming almost perpetually in flower. 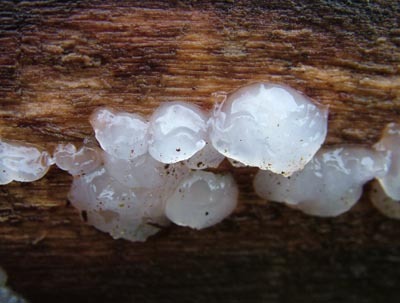 Exidia thuretiana was growing on a long-dead log. Size of image about 5 cm. across.